Discussion in 'UFC Discussion' started by Tyde777, May 10, 2014. Ok.. that was an awesome fight but I know I shouldn't start a post with out pictures or a gif.. Did anyone see that Chuck full costume after Brown won and they panned to the crowd?? Chuck Liddell looking thick, solid, and tight tonight. I think he's making a comeback. 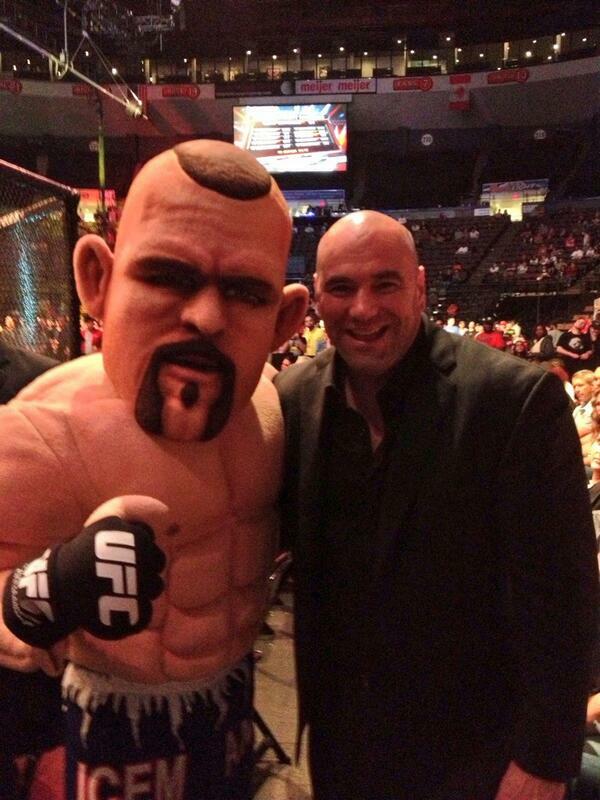 On the Tito Ortiz version of that costume, the head is actually life-sized. lol that is awesome... a gif of him in the crowd will be sweet for future use when one pops up. That thumb is ready for a little eye poking. Nice attention to detail imo.